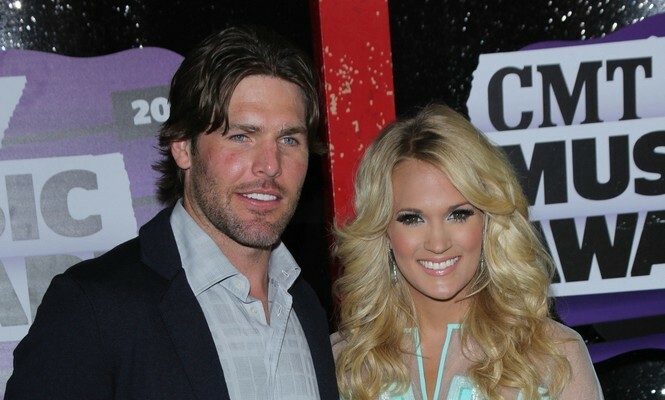 In the latest celebrity baby and celebrity news, Carrie Underwood and her husband, Mike Fisher, welcomed their new son into the world. According to People.com, Jacob Bryan Fisher was born on Monday, January 21st. Underwood and Fisher couldn’t be happier. Their son, Isaiah Michael, is a proud big brother. Underwood wrote on her Instagram, “Jacob Bryan Fisher entered the world in the wee hours of the morning on Monday…his mom, dad and big brother couldn’t be happier for God to trust them with taking care of this little miracle!” It’s so wonderful to see Underwood’s family growing! Carrie Underwood just had her second celebrity baby! What are some parenting tips for introducing babies one and two to each other? …Eager for more? Click here! In latest celebrity news, Carrie Underwood is expecting celebrity baby number two. 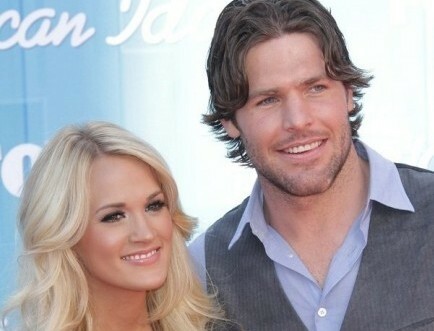 According to UsMagazine.com, celebrity couple Carrie Underwood and Mike Fisher are excited to welcome their child, but also have plans to potentially adopt in the future. It looks like this family just keeps getting bigger and bigger. In celebrity baby news, Carrie Underwood and Mike Fischer are expecting their second child. What are some ways to prepare differently for a second child versus for your first? In celebrity news, after it was announced that Carrie Underwood won the award for CMT Female Video of the Year for her collaboration with Ludacris titled “The Champion,” the singer gave her husband Mike Fisher a quick hug and kiss on the cheek before accepting her trophy. This celebrity couple is goals! The country singer thanked her fans in her acceptance speech, saying “Thank you God for all of us who are lucky enough who sit over here that we get to do what we get to do. And thank God for you guys—the fans. You guys really are the reason that we get to do what we do. Whoever went and voted for anybody, just thank you for taking the time. It means everything.” According to People.com, this is Underwood’s 18th CMT award, continuing her streak of having the most wins in CMT history. In this celebrity news, Carrie Underwood and her hubby are celebrating good news! What are some ways to celebrate a career win with your partner? 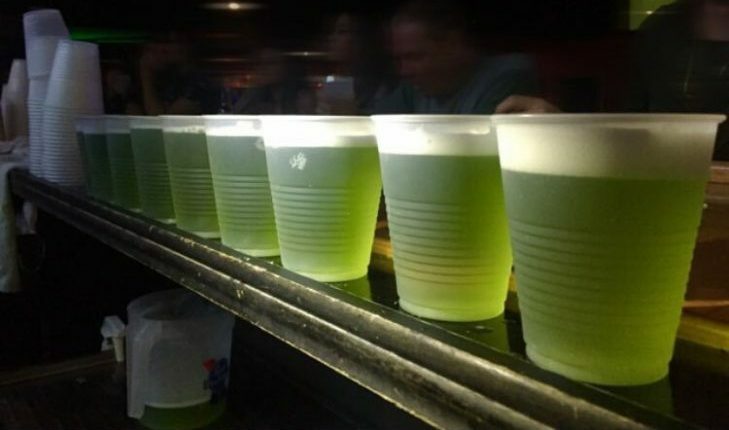 St. Patrick’s Day is upon us and we need to prepare our bodies. Let’s be honest, the Irish have a stereotype for a love of drinking and St. Patrick’s Day is no exception. If we’re being honest with ourselves, we’re going to join in on the fun. So soon after the New Year and our resolutions dangling over our heads, the biggest question is how we can have fun without failing our fitness goals? Cupid’s fitness tips are our secret to you. Cupid’s fitness tips will help keep all your St. Patrick’s Day fun from sticking to your hips! One of the hottest fitness trends of 2017 and now 2018, high intensity interval training (HIIT) is a great all-over workout and really maximizes your calorie burn. Loved by celebrities such as Guiliana Rancic and Carrie Underwood, this popular workout type uses a series of intervals at rapid intensities to condition your body in a shorter period of time. Seriously: you only need to dedicate 30 minutes for each workout. Whether you’re an on-the-go mom or a bride-to-be, you should give HIIT workouts a try. You’ll find it’s the perfect workout that’ll give you the results you’ve been searching for – regardless of whether you’re a newbie or a fitness guru. If you and your significant other are in the market for a romantic getaway, finding a unique spot to spend your time together may get a little difficult, especially if you’re looking for something fun and luxurious. If this scenario sounds familiar, it may not hurt to do some research on celeb-approved couple vacation destinations. Lucky for you, Cupid’s already got you covered with a guide to the best celebrity couple spots! Look no further if you’re on the hunt for celebrity-approved romantic getaways! 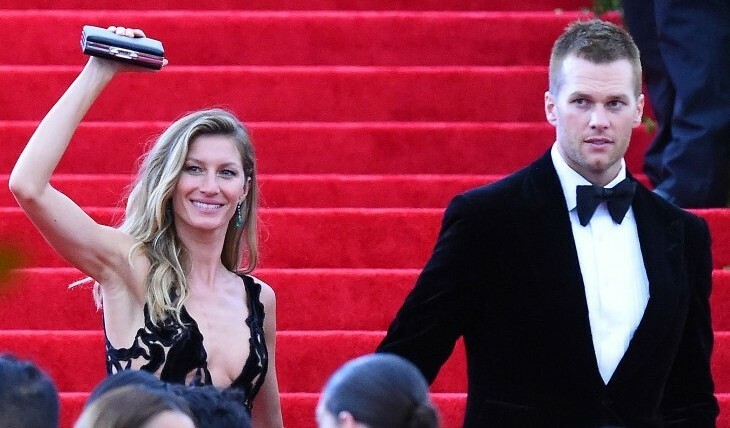 Ahhh, there is nothing like our favorite celebrity couple athletes! 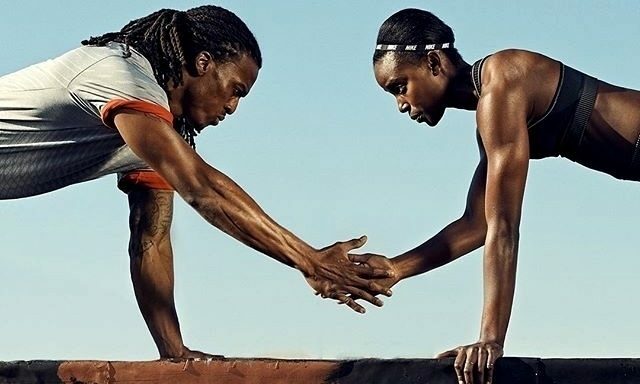 The couples that workout together, play sports and support one another on the sidelines – stay together. Our favorite athletic couples vary in sport: baseball, football, basketball, hockey and so forth. Many of these celebrity relationships have led to gorgeous celebrity weddings and beautiful celebrity babies. We have all been following Carrie Underwood’s adorable celebrity pregnancy, and this weekend, we received the best celebrity baby news. During the Country Music Association Awards, Underwood revealed the gender of the famous couple’s celebrity baby: a boy! According to People.com, her co-host Brad Paisley found out on stage when the blonde mom-to-be whispered it to him, and later on, he referred to the baby as a “him,” inadvertantly revealing that the soon-to-be celebrity mom is having a son. We can’t wait to meet Underwood’s celebrity baby boy! What are some creative ways to announce the gender of your baby to family and friends? What are some ways to reveal your pregnancy to your partner? While it’s tempting to think that celebrity couples never experience the ups-and-downs of real life, that’s not always the case. Like everyone else, they must survive personal heartbreak, career letdowns and various forms of rejection – and they must do it all in the public eye. Of course, being a Tinseltown twosome means that they have money and means to overcome their stressful lives, perhaps by doing one of the activities below. 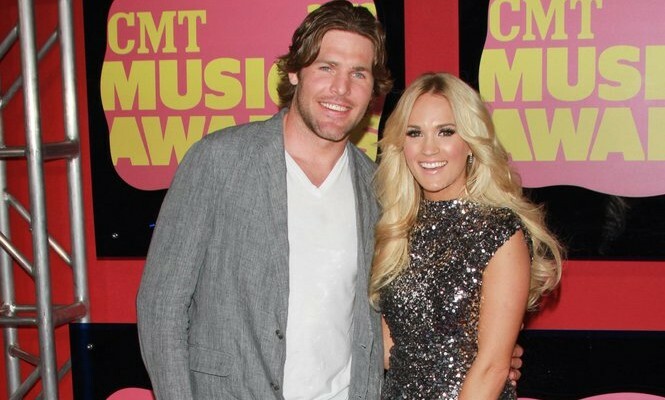 Country star Carrie Underwood has found someone who loves “all of her craziness”: her husband of two years, Mike Fisher. Since their marriage in 2010, the couple is still as happy and in love as ever, according to UsMagazine.com. Though the singer and her NHL hubby are both so busy, they take the extra effort to make their marriage work, like vacations to Disney Animal Kingdom in July. Underwood shares that the two text and tweet “I love you” every day to each other, as well as making their time together count by going on dates. With such busy work lives, it is great to see a couple that makes it work, despite the obstacles they face. How do you know if someone’s weak points are something you can live with? …That’s not all! Click here to keep reading. Carrie Underwood Wins Big at the CMT Awards — And Her Husband Hugs Brad Paisley First! When Carrie Underwood decided to team up with Brad Paisley on their single, ‘Remind Me,’ she probably didn’t expect the fellow country singer to be competition … for her husband! At Wednesday night’s CMT Music Awards, Underwood accepted her first award for collaborative video of the year with Paisley, whom her hockey player husband, Mike Fisher, hugged first, according to People. The surprised five-time nominee played it cool and jokingly asked the Nashville audience, “Did you see my husband hug him first?” Fisher may have been too caught up in the bromance, but he didn’t miss his opportunity to show some love to his rock star wife when she won video of the year. What are some ways to celebrate a partner’s big achievement together? How do you know when you and your mate are ready to have kids? You can never go wrong with classic engagement rings. The timeless beauty of a studded band like Carrie Underwood’s or a simple set of diamonds will always do the trick. Underwood’s ring combines the style of a wedding ring with the sparkle of an engagement ring and makes for a pretty amazing result! Standard rings with diamonds in the center of a plain band never fail to draw “oohs and aahs” from family and friends. Spending a lazy afternoon at a ball game can be the perfect casual date — and celebrity couples seem to think so, too. Sometimes, celeb sightings at a sporting event can be as entertaining at the game itself. There may even be as much action off the court as there is on it. 1. 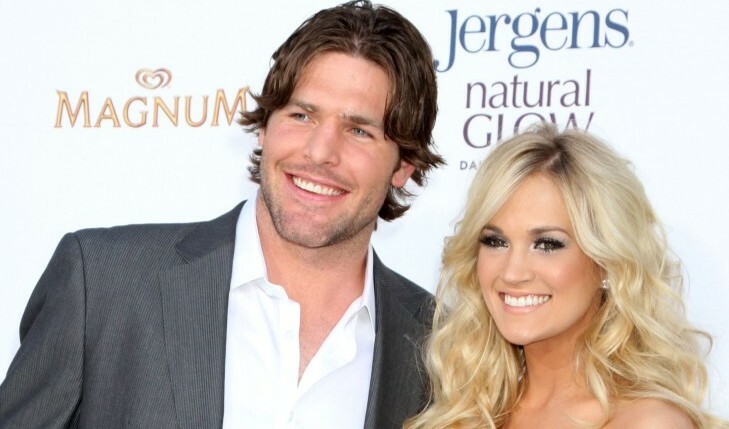 Carrie Underwood and Mike Fisher: In February, Underwood’s hockey-playing hubby was traded from the Ottawa Senators to the Nashville Predators. Shortly after, Fisher moved into his wife’s Brentwood, CA, home (and into her closet), and for the first time during their marriage, the newlyweds settled in the same city. Fans can rest assured that, once the hockey season starts up again in October, Underwood will be at as many home games as her hectic schedule allows. How do you deal with habits that bug you about your partner?